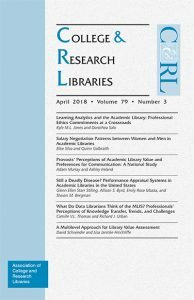 The April 2018 special issue of College & Research Libraries focusing on strategic management in academic libraries is now freely available online. Visit the C&RL website for complete contents from 1939 to the present and follow C&RL on Facebook and Twitter for updates and discussion. 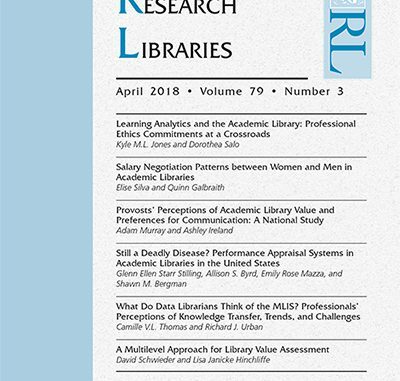 Note: The November 2013 issue was the final print issue of College & Research Libraries. The journal began an online-only publication model in January 2014.